You probably have scrolled through Instagram feeds of pregnant celebrities or social influencers who flaunt their baby bump with style showing their glowing happy faces everywhere they go. No matter where they go, they seem to dress their bump stylishly and effortlessly fun. If you are becoming a new mom or waiting for another one coming your way, you can also appear fashionable like the pregnant celebs by following this simple maternity style guide. This is definitely a one and done look and you can dig this style with ease. Simply wear a black shift dress with matching knee high boots and accessorize your dress with a pretty statement necklace. Shift dresses are great for you to wear while your tummy is growing as it provides the best comfort possible to go through the day. If you do not want to waste your dime on expensive maternity wear dresses, fret not as regular maxi dresses will be the perfect substitute. Choose from the various trendy designs of maxi dresses available from any of your favourite brands as it is the right pick of outfit to flaunt your baby bump no matter in what trimester you are in. Since you may lose your balance due to your growing belly, match those nice maxi dresses with stylish sandals. Who says you can’t rock that casual trendy look while you are pregnant? Pull off that youthful OOTD look by matching a pull over sweater with sneakers and your new best friend ‘the maternity jeans’. You have to admit that your normal skinny jeans may not accommodate your growing belly and maternity jeans are definitely a good fashion investment to make. You can still rock jeans with comfort anywhere you go. You will absolutely look lean and long (bump included) with this ensemble of oversize shirt, waist band trousers, blazer and loafers. 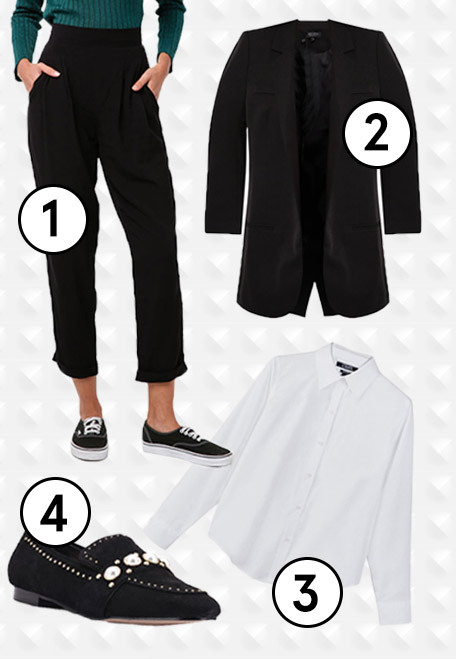 Giving you that menswear vibe while keeping that sophistication, this outfits works great for work. How about rock the ‘momper’ look by wearing a comfortable romper which is loose and allows space for your tummy area. This sleeveless romper with wide legs and flowy light material can be matched with a nice pair of flats, sling bag and sunglasses to get that fun chic look. So what is your favourite mommy fashionista look? Tell us in the comment section below. Oh and congratulations for your little bun in the oven!